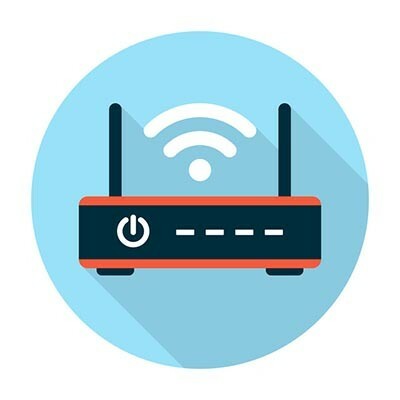 What is a Router Botnet? Find Out Today! Ordinarily, one of the best ways to protect your organization’s infrastructure is to make sure any and all patches administered to the software you use are applied as soon as possible after they’ve been released. However, patches don’t help against threats that aren’t discovered at the moment they are released. The recent spread of BCMUPnP_Hunter botnet shows that it’s not enough for people to keep patching their systems. This botnet was initially discovered in September. Since then, it has infected devices to support a huge spam email campaign. BCMUPnP_Hunter is able to zero-in on victims thanks to its ability to scan for potential targets, like routers with the BroadCom University Plug and Play feature enabled. The system can then be taken over by the hacker. It is assumed that the network created by BCMUPnP_Hunter was created to send out spam emails. The threat creates a proxy that communicates with email servers, allowing attackers to use botnets to generate profit through fraudulent clicks. What’s more is that the malware seems to have been created by someone who has a considerable amount of skill. To make things worse is that BCMUPnP_Hunter also appears to scan from over 100,000 sources, making this botnet quite large. How Does This Prove That Patches Aren’t Working? In order for BCMUPnP_Hunter to work as intended, it must target devices that have BroadcomUPnP enabled to take advantage of a vulnerability. The thing is that this vulnerability has been patched since 2013 when it was first discovered, meaning that most manufacturers have issued a patch since then. Therefore, the majority of devices being used by this threat are those that haven’t been patched for some reason or another. A simple lesson can be learned here. It goes to show that any equipment on your infrastructure that’s not maintained could be putting your business at risk. This includes making sure that you implement patches and security updates as soon as they are released. Of course, they aren’t always broadcast to the public--after all, who would want to admit that the product they have created is vulnerable to attack, and that the vulnerability is being exploited? As a business owner, it’s your responsibility to keep up with the latest threats. Granted, not all business owners have the time or luxury to focus on something like this. For those who want to minimize the threat posed by vulnerabilities, give the IT professionals at k_Street Consulting, LLC a call at (202) 640-2737.